Сподіваємося, що реалізація даного проекту буде сприяти збільшенню кількості людей, яківолодіють навичками медіаграмотності, і у результаті – якісно зміниться підхід представників громади до сприйняття та оцінки інформації. 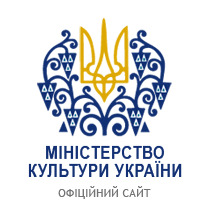 Realization of the project "Media-literate community: mission is feasible!" continues and March 28 as part of its implementation by the coordinator of the Library Resource Center "Window on America" L. Sydorenko and and the head of the department of service O. Fiks of the Mykolaiv Regional Universal Scientific Library on the base of Pervomaisk Central Library, conducted the fourth methodological training for library specialists of the central district libraries, district libraries for children, rural libraries of the Central Library and public libraries of the United Territorial Communities ofPervomaisk city, Yuzhnoukrainsk, Arbuzynka, Vradiivka , Kryve Ozero and Pervomaisk districts.After that, the second training «Media Literacy: to understand but cannot believe» was held for teachers of colleges and teachers of secondary schools in the Pervomaisk city. These categories of participants were chosen not by chance, since library professionals and educators act as mediators in the provision and dissemination of information and knowledge among their communities, including media and information literacy. During the training, the participants analyzed their media fields, discussed how to develop media literacy and critical thinking skills, and focused on European criteria for the preparation of informational materials. In addition, they learned what is «dzhynsa» and the manipulation and what their kinds are, how to distinguish fake news from real ones, and so on. Information products were presented to librarians and educators: an interactive tutorial for teenagers «MediaDriver» (public organization «Detector Media»), the game «Media Literacy Mission» (IREX, Academy of Ukrainian Press and StopFake), Media Literacy exercise book «Media navigator» (Academy of Ukrainian Press, public organization «Detector Media»). The partner in the training was the "StopFake.org" organization, which, with the support of our partners from Dexis Consulting Group, is struggling with propaganda and misinformation in the world, implements a project in Ukraine on educational opportunities in the fight against false information. StopFake provided the participants with training thematic posters, key chains and suitcases, stickers to be used by participants to promote media literacy and critical thinking development. In addition, the participants received an advertising promise, which was prepared and issued within the framework of the grant "Media-literate community: mission is feasible!" Librarians have received homework - to hold media literacy classes for their community members, and teachers - for children, adolescents and their parents. We hope that the implementation of this project will help increase the number of people with media literacy skills and, as a result, will change the approach of community representatives to perceiving and evaluating the information they receive from different sources.